The Doverbeck Trust invites you to an opera evening in aid of the homelessness charity Framework. 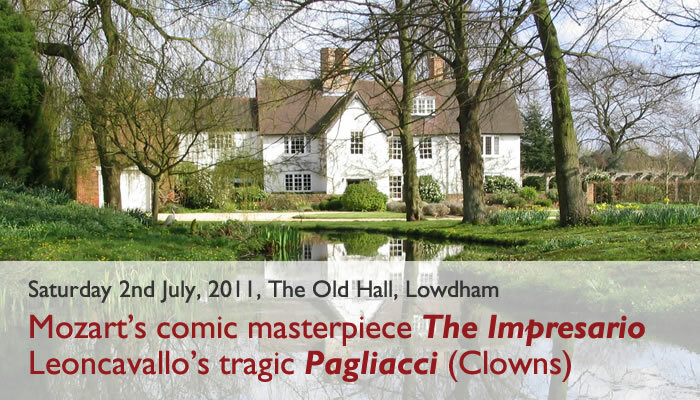 Join us in the enchanting grounds of The Old Hall at Lowdham for a very special evening when Garden Opera - Britain's leading outdoor opera company - present a unique double bill of opera at its most bewitching. With their cast of rising young stars and a small orchestral group under music director and pianist Peter Bridges, this is grand opera at its most charming and intimate.